Solid brass bell, simply adjust angle with pliers to fit your door. Use this dog bell to train your dog to ask to be let outside. This jingly bell has a pleasant sound to alert you to your dog's bathroom needs. 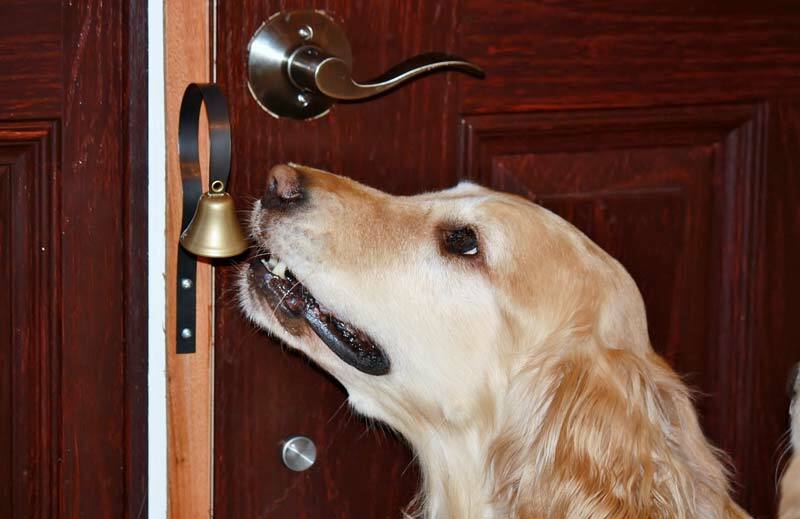 It is as simple as familiarizing your dog with the bell, then rewarding them every time they ring the bell. Give them a treat and let them out! You'll have a happy dog with this quality dog bell.